Woodland Knoll - Small Talk - Fairy & Prairie Dogs. 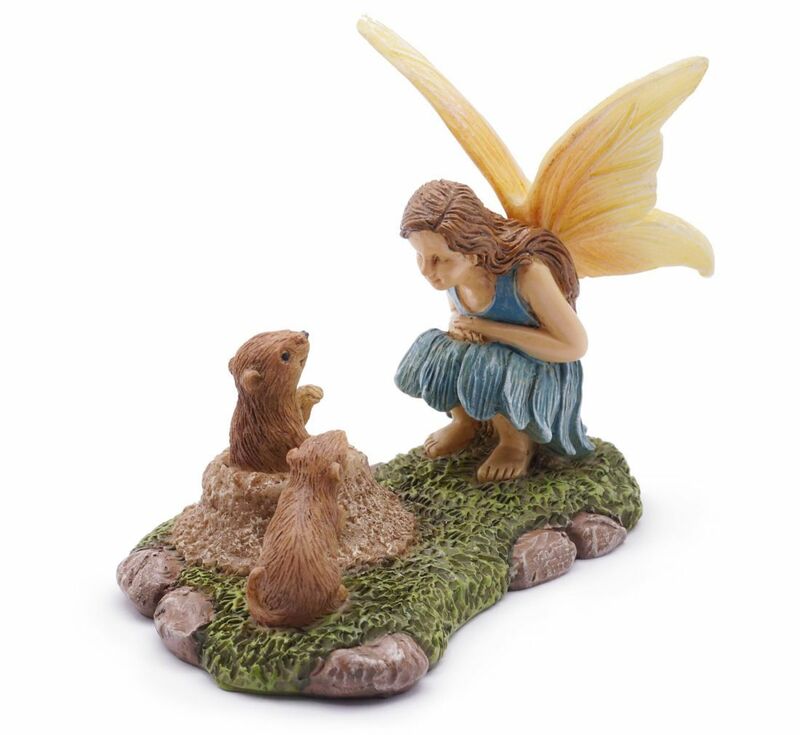 This beautiful Woodland Knoll fairy chatting away with a pair of cute prairie dogs. I winder what they are talking about? This pretty he fairy has long brown hair, and new blue flower petal dress. Her wings are brushed with pink. 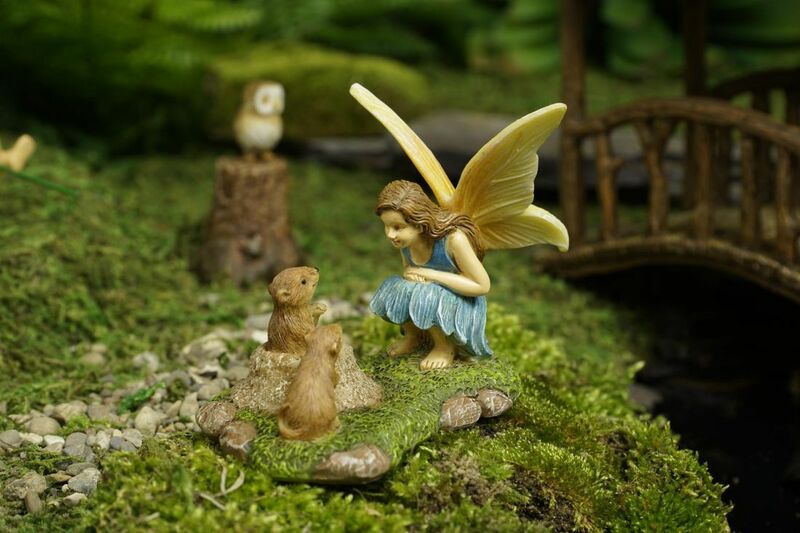 New latest ranges to help you in creating your own miniature / Fairy world .